My last day in Warsaw and I was pooped. I went from cafe to cafe to sushi bar just reading a book and researching what to do when I get to Riga. 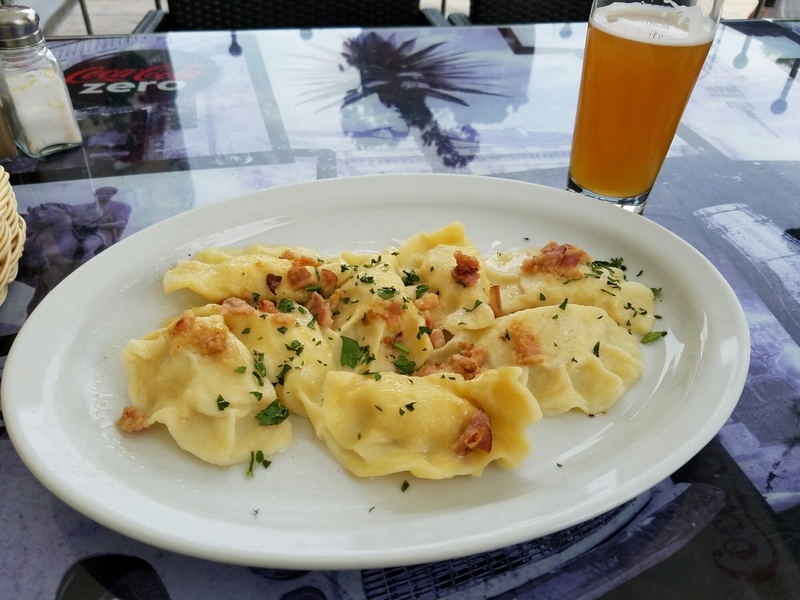 I couldn’t leave Poland without eating pierogies!! So delicious. I paired it with a wheat beer. I’m all packed and calling it an early night since I fly out super early tomorrow. This entry was posted in Beer, Trips. Bookmark the permalink.